Thanks to his handy little Tastecard, my boyfriend and I decided to treat ourselves to a meal at Pizza Express on Monday night. As you all know back in 2012 Pizza Express launched their gluten free base, along with some other dishes and desserts, and Coeliacs everywhere rejoiced! Having worked with Coeliac UK, they’d carefully considered the cross contamination risks alongside how to provide a quality menu for Coeliacs and personal I think they did really well! Did you know, that to prevent contamination from all that flour flying around the kitchen, they made their standard flour gluten free? I’m always excited for pizza but was even more excited on Monday when I saw that Pizza Express have a new menu, and the gluten free options have expanded! 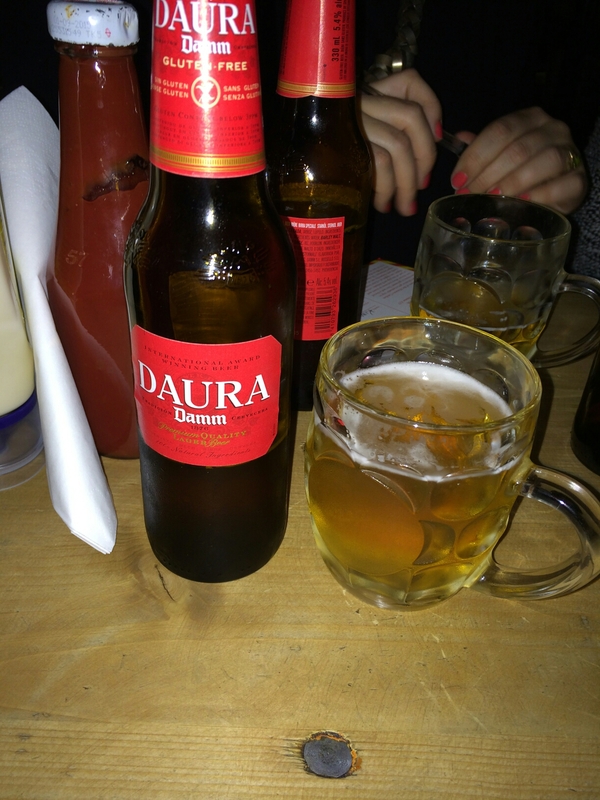 Naturally, I had to try one for each course…. Previously there has been a Mozzarella salad or Risotto to start, neither of which I really go for. Let’s face it, salad is boring and risotto is too filling before such a carb heavy main. 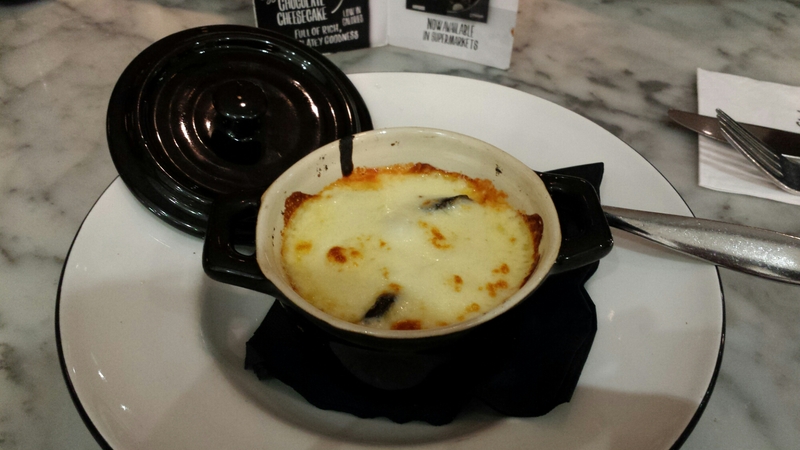 Now however, those options are accompanied by the new Melanzanine, ‘A mini al forno dish of layered aubergine, passata, mozzarella, garlic, basil and Gran Moravia cheese’. This comes served in a cute little baking pot, although the size does make it a little difficult to cut through the insanely thick, stringy cheese layer. Also, they weren’t lying when they say it contains garlic….In fact it overpowered all of the other ingredients! This is a really nice light starter overall. In the last few years I’ve become far more adventurous with my pizza toppings, but I have a particular love of Pepperoni and Goat’s cheese so 90% of the time I stick to pizzas based around these. Not this time. 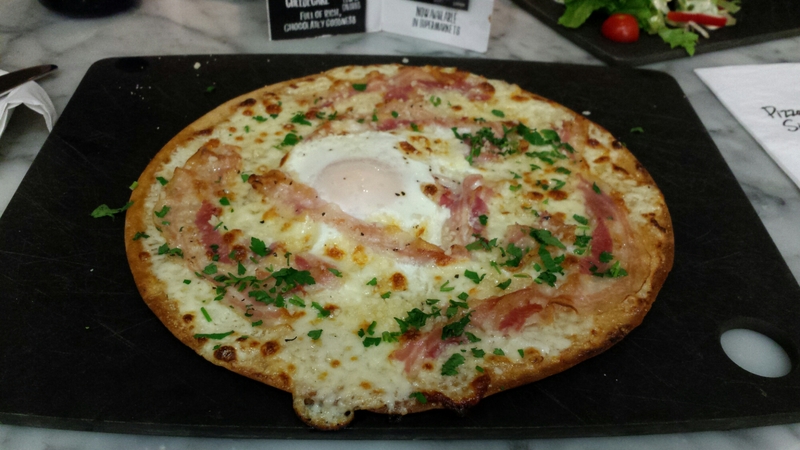 Instead, my boyfriend managed to convince me to try something new…..The Carbonara pizza! Seeing as I love Carbonara pasta this wasn’t a bad shout, but I had my concerns that it wouldn’t live up to my expectations. Plus I’ve never really understood egg on a pizza. I was pleasantly surprised that zeta lay, this worked really well! It tastes exactly like a Carbonara, topped with a creamy sauce, herbs, streaky pan cotta, loads of cheese and of course, the egg in the middle. Whilst I’m still on convinced that egg works on pizza, I added the taste of this option and highly recommend it! 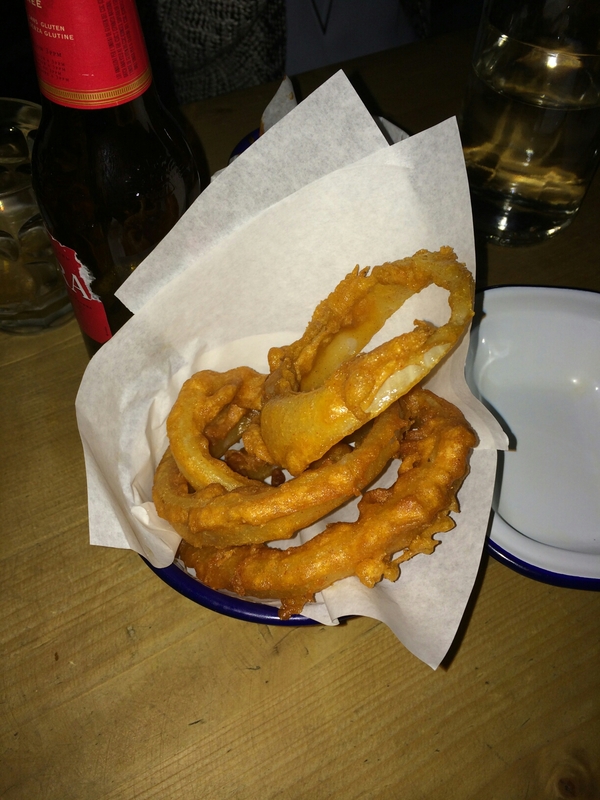 The base as always, was lovely and crispy whilst retaining the doughy texture. Definitely the best base on offer in mainstream restaurants! My only complaint is that when they launched the gluten free base, they were all served with specially colour coded pizza cutters, but in the last few months these have disappeared. It really bugs me because despite the base being lovely, sometimes it can be a bugger to cut, and a standard knife and fork don’t cut it! I’d love to know the reasoning behind this. Be warned, this option is filling (well, after that starter anyway)! 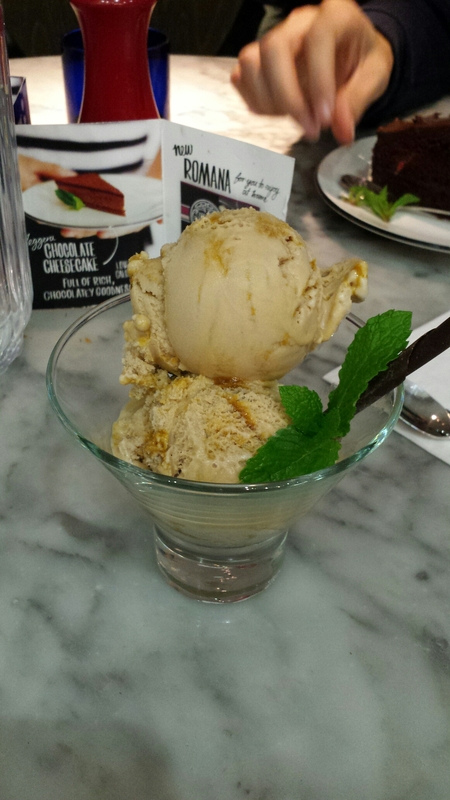 I have a love hate relationship with Pizza Express and their desserts. It’s great the have the options but they always make me feel…sad. Sorbet and Gelato are lovely, but if I’m paying to eat out frankly I’d like something a bit more exciting. The gluten free brownie they offer is also nice, but it’s tiny, only comes with a drink (until they serve soya milk, this is out of the window for me) and, well, it’s a brownie. These options are still there, but now the brownie comes with or without the drink ( and considering it’s about £5, a lot bloody bigger I hope too), and the Gelato has had a makeover. Now you can enjoy a delicious Banoffee or Tiramisu flavoured scoop instead. I chose the Tiramisu flavour, partly on the recommendation from our waitress and party because I’m not keen on Banoffee. Dear God, this is delicious. Seriously, seriously tasty! With the first spoonful I got a heavy dose of the rim flavouring (not a bad thing) and on second the coffee really came through. My view of boring Gelato has been changed and although I was desperately full by now, I finished every last bit. So worth the food baby! Overall, I’m really impressed that Pizza Express have ramped up their menu even more and have included much tastier treats for their gluten free customers. They’re really leading the way for mainstream restaurants tapping into the market and making me on happy Coeliac in the process. Many of you may have seen on Twitter that there’s a group of bloggers who like to meet up occasionally and enjoy a damn good gluten free meal, me included. This year the arrangements fell to me and following some voting from the group, we chose to go to Vozar’s restaurant in Brixton Market, London. 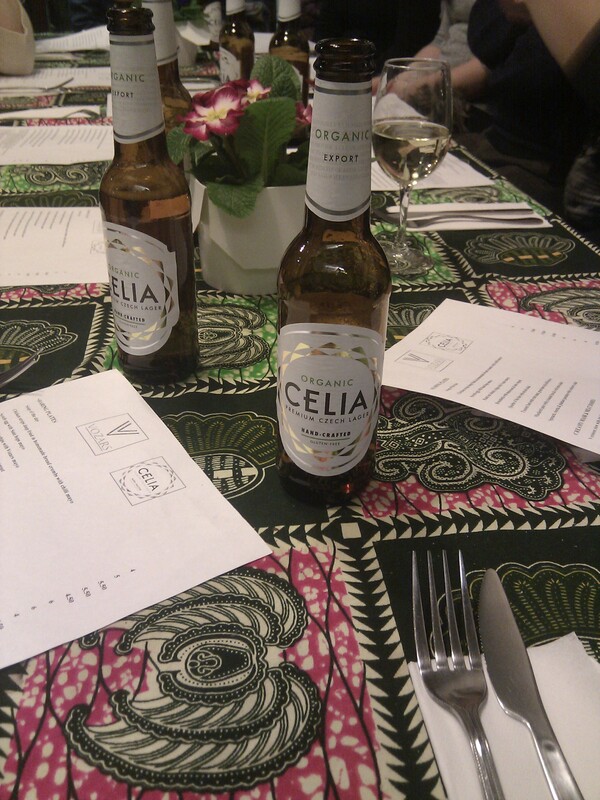 ‘At Vozars, we started as a pop-up to showcase CELIA Organic lager, a rare product that has been made to taste better thanks to being gluten-free. In ode to this we serve mouthwatering food that crosses global cuisines but has one thing in common – it is better thanks to being gluten free. From fresh baked quiches and home-made sandwiches to duck confit and venison burger served in a brioche bun Vozars takes pride in exceeding expectations. Martin was a fantastic help, emailing me the menus and coming up with a special offer for our party. 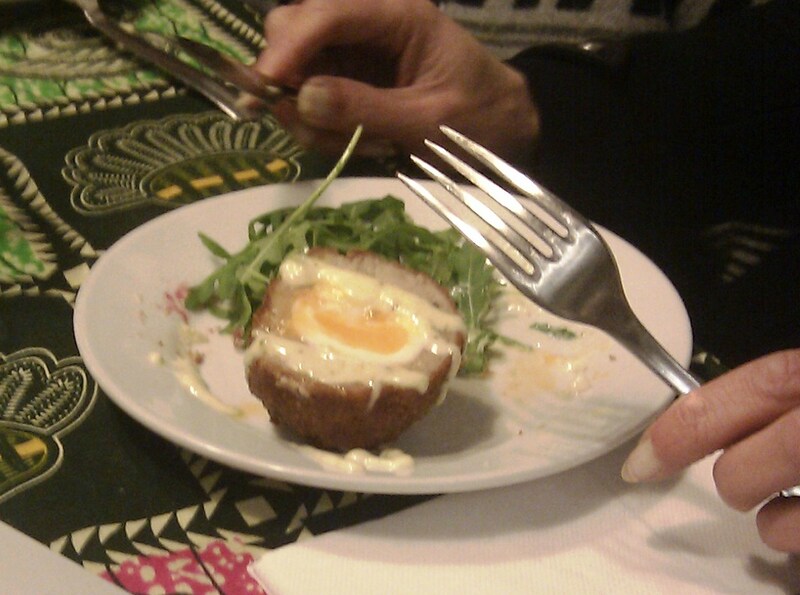 When the menu changed and the gluten free scotch eggs were no longer an offering, he kindly agreed to add them to our special menu so that we could still enjoy them- just an example of their fantastic service! All booked up, 13 of us headed off to Brixton Market on a chilly Saturday night. Brixton Market is undercover with lots of tiny shops and restaurants dotted around inside. We were greeted with a nice cold bottle of Celia Lager– another creation of Martin’s and settled down to chat outside for a bit as we waited for people to arrive We were even greeted individually by Martin himself which was lovely. When we were all ready, we headed inside the tiny restaurant and squeezed around the table- one thing to note is that this restaurant is tiny, so if you head there you’re likely to get a table outside in the undercover market instead. Once seated, the menu was explained to us by Martin and his lovely waitress (sorry- I’ve completely forgotten your name! ), which was helpful as some of the group had multiple intolerances. There were no issues tweaking the menu slightly and everyone was reassured that they could have a tasty safe meal. The menu had so many options that it was incredibly difficult to choose, but it just goes to show that once someone puts their mind to it, fantastic gluten free dishes can be created! 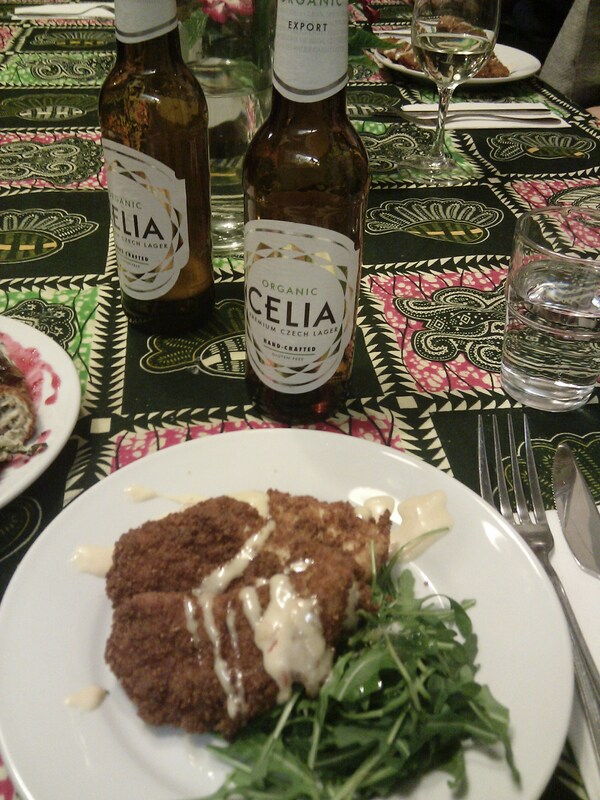 Armed with our (sometimes second) bottles of Celia, we chose our starters and mains and discussed all things gluten free, from diagnosis stories to supermarket horrors, on to product recommendations. It’s so lovely for our group to get together and to talk about Coeliac things with people who completely understand, people who can share their experiences and offer the advice that you can struggle to get elsewhere. Some of us have met before at previous Tweet Ups and food shows whilst some others never have met in person but have been Twitter friends for a long time. If you were to tell a friend or family member that you’re heading into London to meet a bunch of complete strangers, well most would think you’re mad. But for us, it’s exciting and completely not scary at all. It’s refreshing, fun and most of all tasty! Our starters arrived and we were all pretty amazed! The scotch eggs were huge and looked delicious, whilst the chicken strips that I had gone for were exactly as I remembered from pre-Coeliac days, in fact they were better. We all ended up sharing and tasting each others dishes which was nice too. I honestly could have gone for pretty much all of the starters, as they came out and we ate they all looked and smelt so fantastic! We had our mains still to come though and we were not disappointed! After the advice from the staff that the burgers were ‘special and amazing’ I decided to go for this. It’s so rare for me to actually get a burger with a bun that I was so excited!! 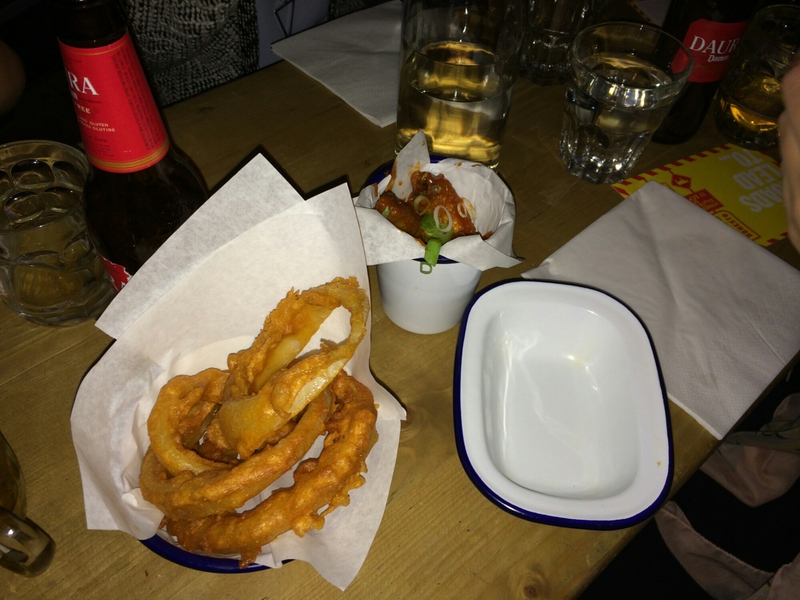 It didn’t disappoint…. Everyone was satisfied with their choices too, in fact I don’t think there was a disappointed face to be found! A sample copy of the menu can be found here, although this does change so to avoid disappointment get in touch with the restaurant first! Some of us had room left for dessert, myself one of them. Their Wag Free dessert options are kept in the fridge in the restaurant window so I had been lusting over them since I arrived. They had a selection of individual sponge cakes, pastries and even homemade gluten free Twix and Wagon Wheels! 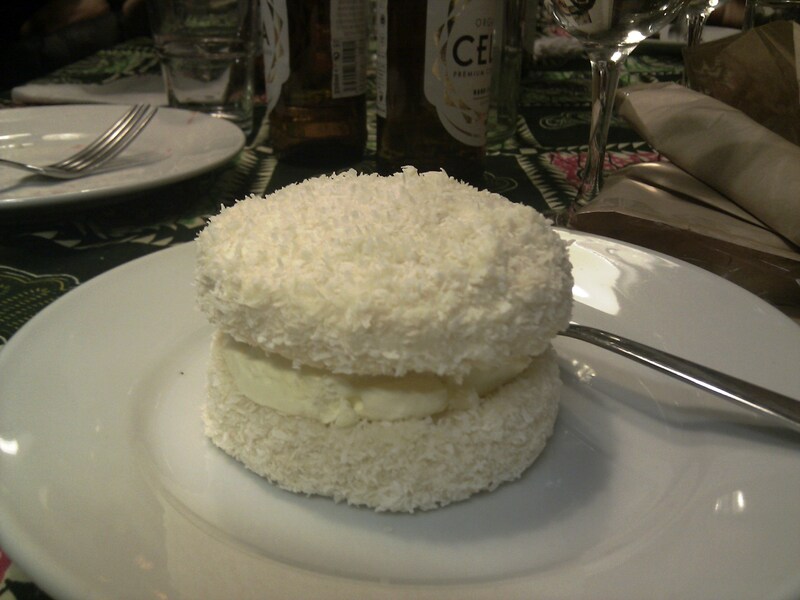 I chose the white chocolate and coconut cake which was to die for. I struggled to finish it after such a filling meal so I had the remainder wrapped up for me to take home. I also took a Twix home but completely forgot to photograph it. 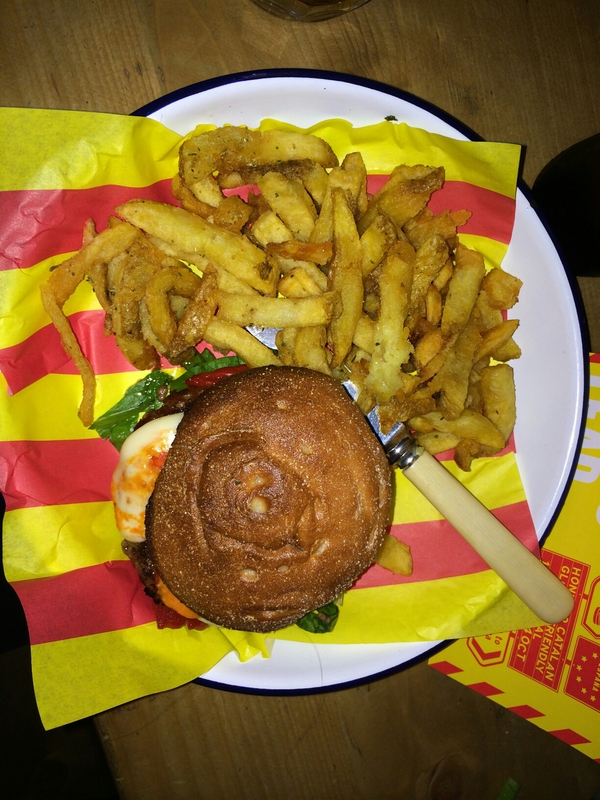 I can assure you that it would be worth the trip to Brixton alone! The food throughout the evening was fantastic, such good quality and it’s refreshing to have a whole menu completely gluten free. 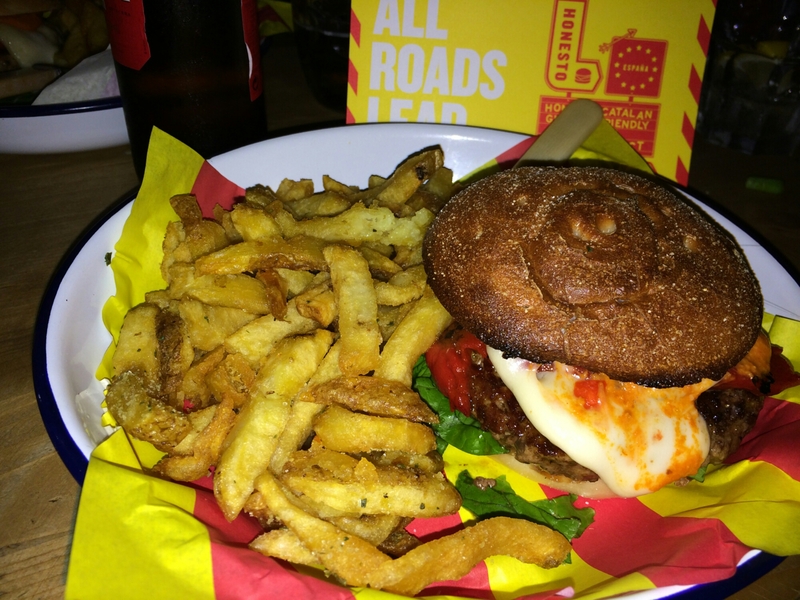 Not once did we worry about cross contamination, or have to double check that actually, the amazing looking bun is gluten free and they haven’t got ours mixed up with someone elses dish (the bun is from Wag Free if anyone is wondering- they’re now partnered with Vozar’s). We ate, drank, laughed and had a thoroughly enjoyable night. I can’t thank Martin and his team enough for their assistance and attention to detail that made our night wonderful. 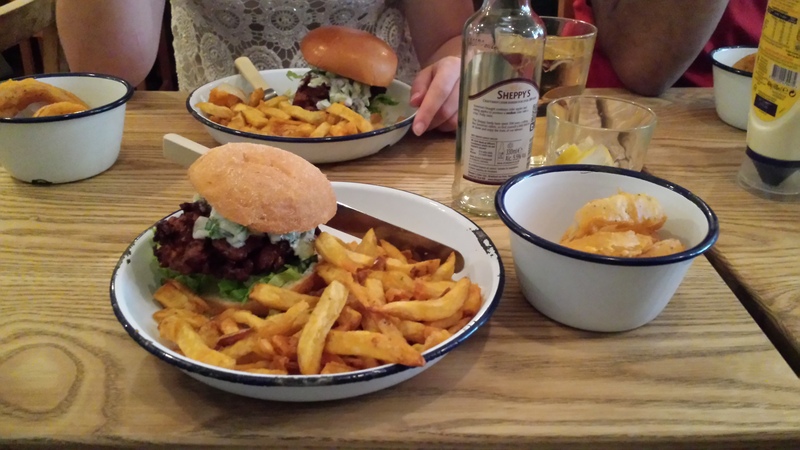 If you’re in London make sure you add Vozar’s to your list because you won’t be disappointed! 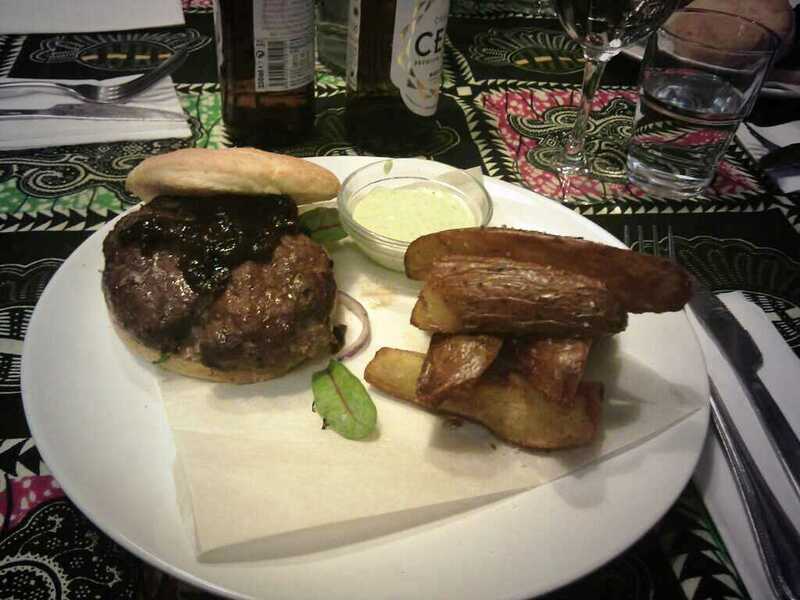 in fact, they often have Pop-Up evenings where they focus on a specific cuisine. I’ve not managed to get to one yet myself but I’ve heard brilliant things! A big thanks to these lovely people for their company during the Tweet Up! 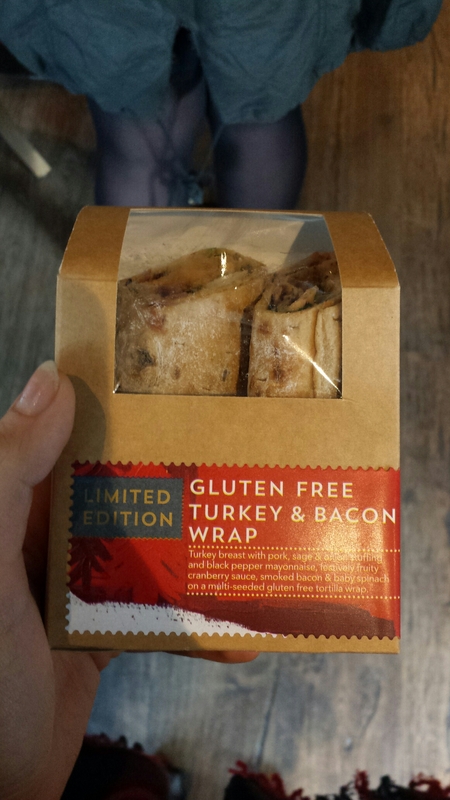 Following the launch of Costa Coffee’s new gluten free wrap, Starbucks were hot on their heels with their own version, the Veggie Good Houmous wrap. Both are made using seeded wraps by Newburn Bakehouse, so really it’s only the fillings that are in competition. 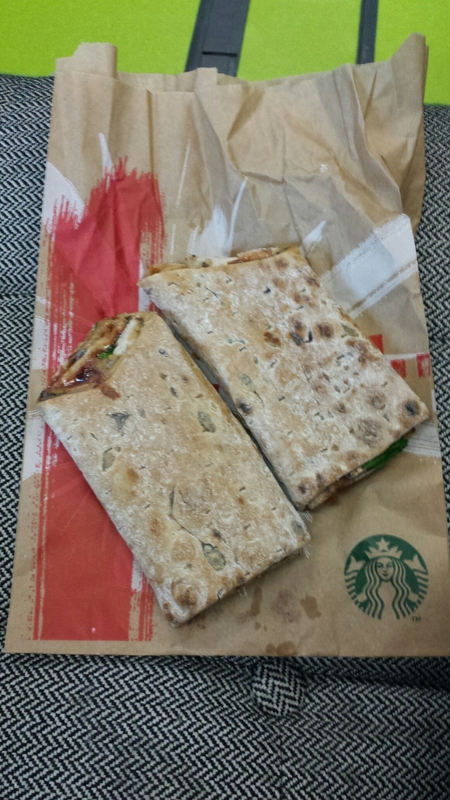 You can read the press release for the Starbucks Wrap here and the Costa press release here. This new wrap has been a little more elusive for me but having popped to the shops early yesterday I was able to grab one before other gluten free people snaffled them up! I did have a little mix up with the server, who totted off with my wrap to heat it up when I’d said not to, but luckily I stopped her before she put it on the grill. 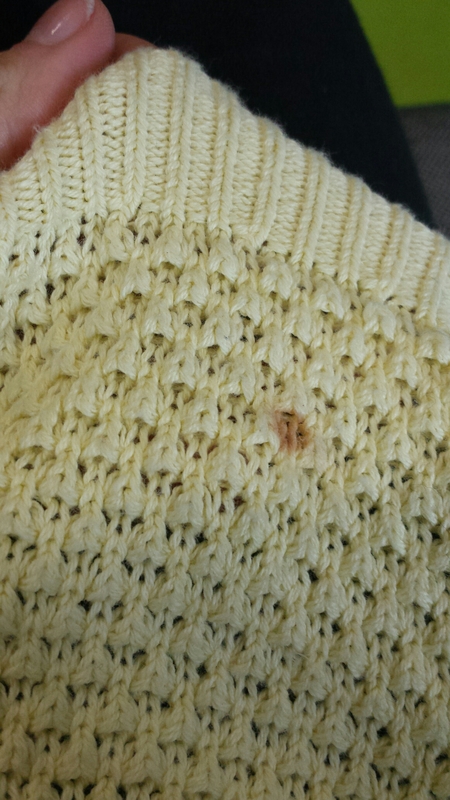 The cross contamination alarm bells were ringing in my head and I’ve now contacted their customer services to fund out about the controls they have in place (I’ll update this post with their response). As the packaging had been thrown away I was given the wrap in a paper bag and worried it would fall apart as I continued shopping, but I was pleasantly surprised when I opened the bag and the wrap was fully intact. Now on to the taste. I LOVE houmous and was excited that it’s used in wrap, but unfortunately the lemony flavour they’ve gone with just doesn’t work- it’s like a mild backing to the taste of the vegetables. 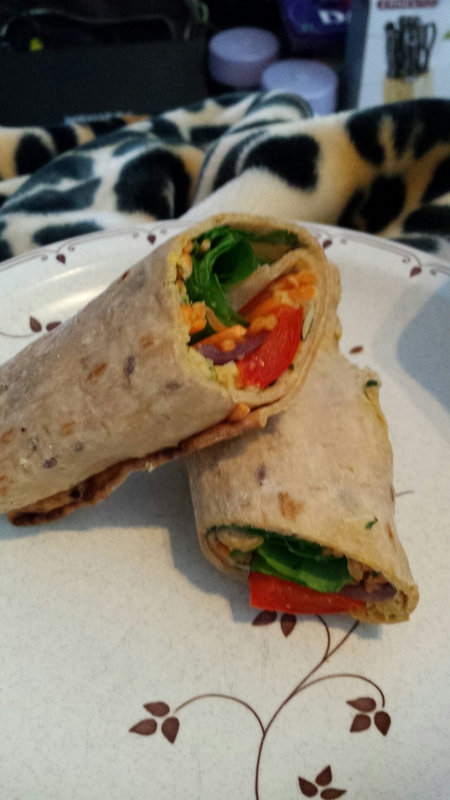 The chunks of courgettes are odd in the wrap, almost too big but it’s the shredded carrot that takes center stage here. In fact, it was all I could taste!! The filling is a nice concept but the flavours feel mismatched and certainly don’t come through as they should. The wrap is however nicely filled, much more so than my wrap from Costa. It was also nicely tucked up at the bottom so the filling didn’t fall out- considering how much was in there. 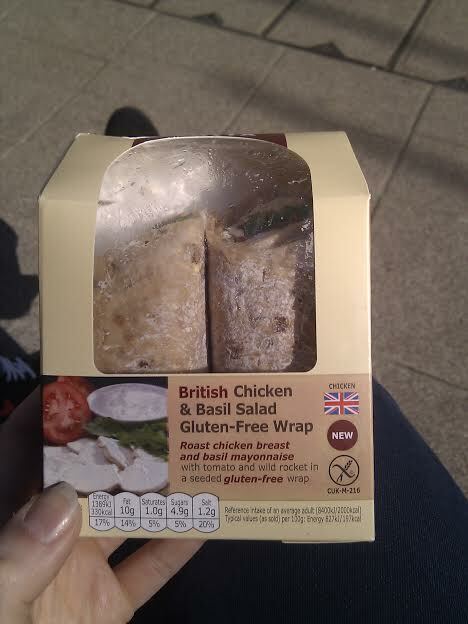 Overall, the filling and flavour of this wrap left me underwhelmed and I think the flavours definitely need a re-think. It’s great to have another option readily available on the high street but on this occasion the wrap from Costa wins for me. The wrap is available in 750 stores across the UK and costs £3.99. The Coeliac community on Twitter has been buzzing over the last few weeks following the announcement that Costa Coffee have launched a new savoury option- the Chicken & Basil gluten free wrap, made using a seeded wrap from Newburn Bakehouse. 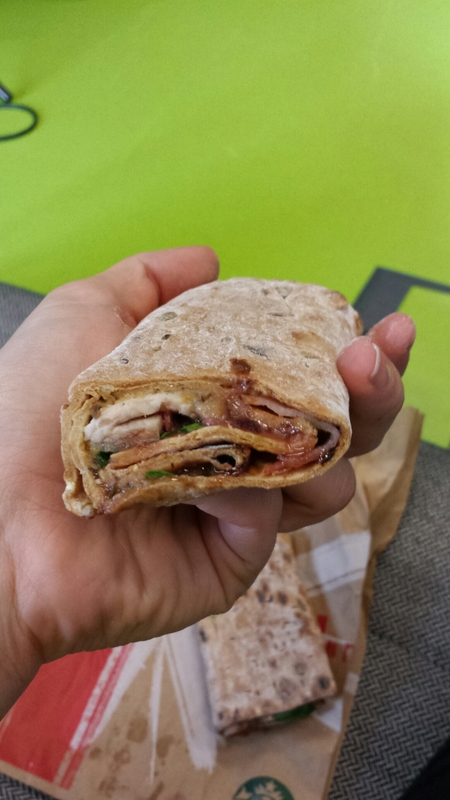 The timing was great, as just a few days later I was shopping in Surbiton with no quick lunch options, so I popped into Costa and picked up the wrap while my boyfriend grabbed his own sandwich. It was great to be able to pick both up in the one shop, rather than having to try a few places to find something suitable for me to eat. I love the packaging- it’s obviously gluten free as it shows the crossed grain symbol but it’s not a completely different to their other packaging so you don’t fee like you’re buying something different. Nothing worse than seeing someone turn their nose up at something just because they can see it’s gluten-free and it looks different. 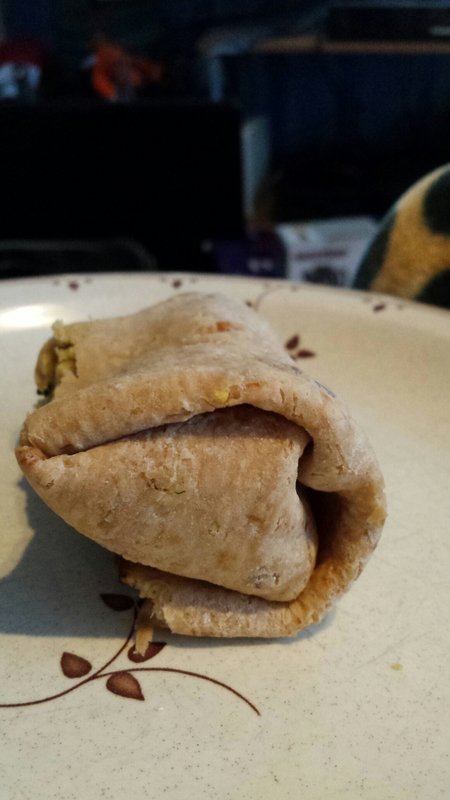 It’s made up from one of the seeded wraps, which is then cut in half. The filling tastes great, although with basil as the main ingredient it definitely could have been more flavoursome. The combination did work but I found it a little dry. 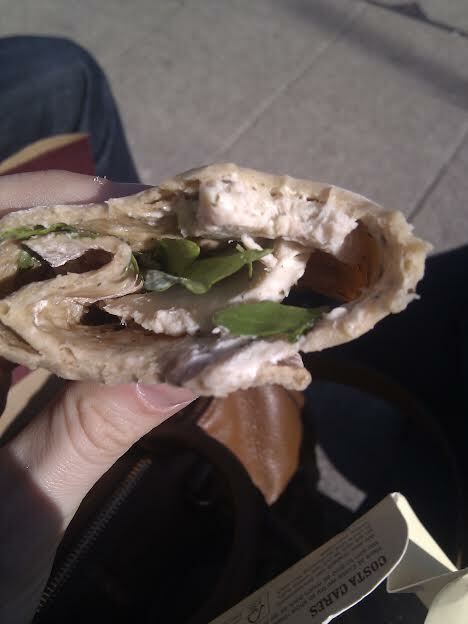 I was mostly disappointed that the wrap I had picked up was underfilled, which you can see in the photo below. For £3.75, I do expect it to be filled properly! A few people on Twitter have had the same issue, so maybe some more quality control is required Costa? Overall, it’s fantastic to see Costa finally listening to our pleas and providing a savoury option, that’s easily available on the go. I’d happily buy one again when I’m out and about, I just hope next time I’m a little luckier! For more information on their wrap, see their press release here.